BERLIN 16 August 2009. 12th IAAF World Championships in Athletics Berlin 2009. 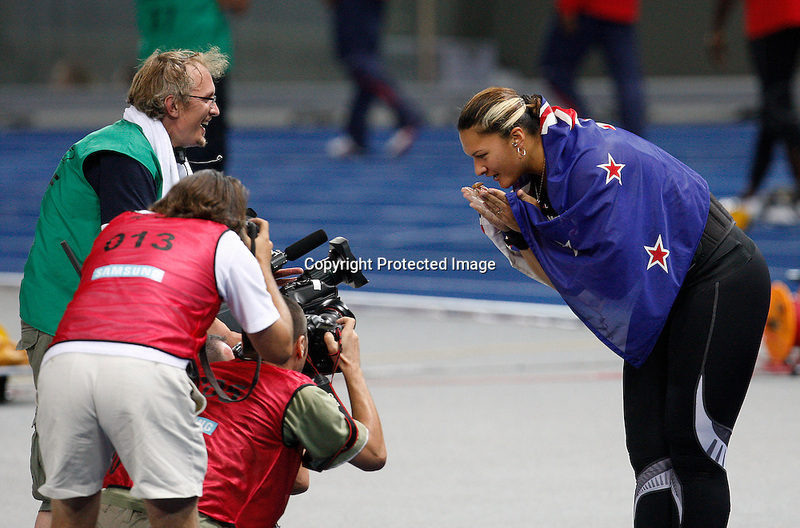 Valerie Vili of New Zealand reacts after winning the women's shot put final during the world athletics championships at the Olympic stadium in Berlin .